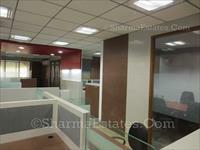 Looking for a property in Lajpat Nagar-II? Have a property in Lajpat Nagar-II? Lajpat Nagar is a centre point of Delhi and the property is located in the Heart of city. Its Near Central Market & walking distance from Lajpat Nagar Metro Station. Lajpat Nagar-II, New Delhi is rated 5 out of 10 based on 1 user reviews. Have a good knowledge of Lajpat Nagar-II? Share it and become a Locality expert. One room set fully furnished available on rent.